We talk a lot about ingredients to help get rid of acne, but what about the worst ingredients for acne? Here, Ben shares his personal no-nos. There is nothing more frustrating than trying a new product that everyone has been raving about and waking up the next morning with breakouts and irritation. All in all, it can be pretty scary to try new products for a person with acne-prone skin. At the beginning of my skin care journey, I threw caution to the wind and tried boatloads of products. From cleansers to moisturizers, I experimented with every step of the routine. And tons of products broke me out—and still do to this day. However, as I have tried new products, I keep careful track of which ones cause my skin to break out. So, along the way, I’ve racked up quite a list of ingredients that I know my skin hates. That way, when I’m trying new products, I can check to make sure it doesn’t have any of them and save myself time, money, and hopefully a few breakouts. To save you from having to go out and try hundreds of products like I did, I’ve decided to share this list! Of course, this is for my skin, and these ingredients won’t have any effect on lots of people’s skin. However, if you try a products that has one of these ingredients and it breaks you out—it may be the culprit. Let’s go! If I pick up a product and see it has alcohol, I don’t even try putting it on my skin. Invariably, alcohol causes a handful of new pimples to pop up on my face. At first, I thought it was just certain forms of alcohol, because there are a handful of different kinds. But from alcohol denat (denatured alcohol) to ethyl alcohol to isopropyl alcohol, I’ve tried them all, and long story short, alcohol is just plain bad for the skin if you have acne. It weakens the skin barrier, can increase oil and sebum production, and dies out the skin. For someone with acne, this is a terrible combination of effects. BUT it is important to note that not all alcohols are bad. Certain types, including lauryl, cetyl, stearyl, cetearyl, and oleyl alcohols are not at all bad for the skin, and actually have lots of benefits. So, if you see one of those kinds of alcohol, don’t be alarmed. As for the others? I’ll pass. This one was a hard piece of news for 2014 natural-beauty loving me to hear. I used to swear by coconut oil and would slather it all over my face in an attempt to achieve a natural “glow.” But, in the end, it just made my acne substantially worse. Coconut oil is super comedogenic, meaning it clogs the pores like no other. And in its raw form, it’s even worse because since it’s an oil, it won’t rinse off your skin. So, I steer clear of coconut oil. In some rare cases, when it’s formulated just right, it won’t bother my skin, and I get to enjoy its lovely moisturizing effects. But unless it’s from a brand that I really trust, I’ll usually pass on products that have this ingredient. Oftentimes when I tell skin care novices that I have acne-prone skin, their first reaction is to exclaim that I should be using more products with “plant extracts.” Don’t get me wrong, some of my all time favorite ingredients are natural plant extracts. However, it’s a dangerous mistake to assume that just because something is a naturally derived extract that it won’t affect your skin. In some cases, natural extracts can actually be super irritating! For me, it was moringa. Everyone was raving about how much they loved this extract, but when I tried it, it just didn’t click with my skin. Now, I can’t say that this will be true for you; hopefully it won’t be. But the lesson stands: When you see plant derived extracts, don’t forget that they could be the culprit of your breakouts, too. Isopropyl Myristate is a common ingredient—especially in oil cleansers—that gives products thick, luxurious consistencies, and works as an emollient to help your skin better absorb ingredients. Sounds like a dream, right? Well, maybe not if you have acne. Isopropyl Myristate is quite comedogenic, and even when properly formulated, it can irritate sensitive skin. This one is the hardest one for me to admit, because it’s in everything. Some of my favorite brands make absolute holy grail products that I just can’t touch because they have this ingredient. And it makes sense, because it has tons of benefits. It locks in moisture, helps support the skin barrier, and works to reduce fine lines. That’s why you’ll find it in lots of moisturizers and sunscreens. 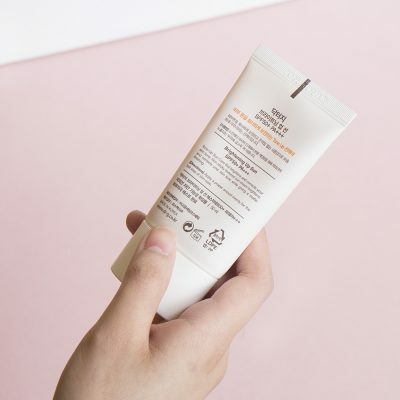 But for us acne types, this ingredient poses an issue: The protective layer it leaves on the skin can actually cause your breakouts to “suffocate.” It can keep your skin from working through its natural breakout cycle, making pimples more severe and longer lasting. This proved to be the case for me, and has now become the number one ingredient I avoid. So, let me reiterate: These ingredients may not do anything bad to your skin. As with all things in skin care, this list is certainly not one size fits all, and if you blindly choose to abandon all these ingredients without reason, your skin may miss out on some incredible products! But, if you get a breakout after trying a new product and see one of these on its ingredient list, there’s a good chance it’s the culprit. + What have you found are some of the worst ingredients for acne? Let us know in the comments below!